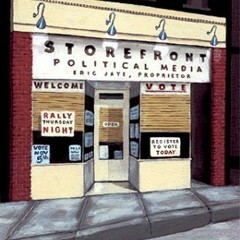 Democratic political media and new media consultant based in San Francisco. Working on and writing about Gov 2.0 and User Generated Government. The first draft of the 2016 Clinton campaign defeat has been written, and it contains a dangerously incorrect narrative casting doubt on pioneering campaign innovations like data analytics. When a thoroughly small-time politician named Scott Wiener started personally attacking me in a local race, my first thought was that he was “swift boating,” as they say in the trade.